The leading electronic player LG Electronics has once again pleasantly surprised its customers by launching three brand new cell phones in the market. 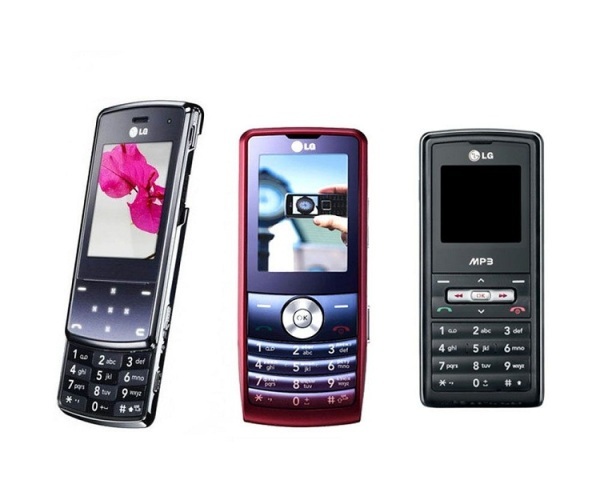 Find more information on latest LG cell phones. LG Electronics, a global technology leader has yet once again given its customers a lavish treat by launching its three new cell phones. Targeting three different consumer segments, the three mobile phones are KF510, KP320 and KP110. All of these are loaded with fascinating features and boast of the best technology. Primarily aimed to cater to the needs of high, mid and entry level consumers, LG has sure planned to woo all the segments of the market thereby strengthening its grip. The LG KF510 handset is an extremely slim, sliding handset. It has been given the name "Touch Lighting Phone", owing to its immensely sophisticated yet simple looks and features. The handset comes equipped with power saving auto luminance control, providing long lasting performance. Moreover it is covered by tempered glass, which gives the phone sheen, also protecting it from minor scratches. Its features comprise of a smart camera with image stabilization, LED flash and red eye reduction. It even has MP3 & MPEG-4 player, FM radio, WAP, GPRS and EDGE and can even record and play back QVGA video. This irresistible handset comes with a price tag of Rs. 12,250. The LG KP320 resembles a candy bar, aspiring to sweeten the summers this year. It has an immaculate 2 inch 262k colors TFT display with a 240 x 320 pixels resolution, providing you strikingly clear pictures. The phone bears a leather finish along with 107 x 46 x 13.5 mm dimensions and feather light weight of only 81 g. Besides, it boasts of exclusive features, which enable it to be attached to a TV to view the pictures. It has an in-built music player, which stereo FM radio. The phone provides an internal memory of 90 MB, expandable up to 4GB via MicroSD memory card. Other features include Bluetooth, USB, Internet and email capabilities, document viewer, speakerphone and a 900 mAh Li-Ion battery. This hot property is available at a price of Rs. 7,990. The LG KP 110 is also quite light and has some interesting features. The phone comprises of a FM Radio and MP3 playback for the music lovers. It can accommodate up to 500 phone numbers and 500 SMS messages. The phone memory is extendable up to 2-GB with microSD memory card. The phone battery offers 4 hrs of talk time and 400 hours of standby time. The KP110 is also GPRS and WAP enabled, including hands free speaker phone, flight mode vibration alert, anti theft mobile tracker, etc. This versatile gizmo can be yours at a price of Rs. 2,899.